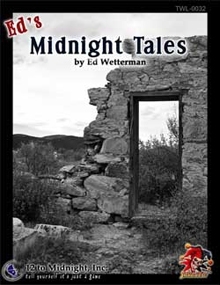 Tag Archive | "12 to midnight"
Ed’s Midnight Tales (TWL0032) gives fans of Savage Worlds and Pine Box, Texas another forty-two pages of information ultra-helpful for both. As the title suggests, this is a brief collection of scenarios (mostly one-shots). The stories do not need to be interwoven, but could easily be fused together in a long-running campaign. The book is broken up into an introduction and five chapters, each progressive chapter offering a more detailed storyline for players. Finishing out the book is a special edition of the Pinebox News, complete with strange articles and story seeds. The PDF comes in two versions, a typical version and a printer-friendly version. While 12 to Midnight tends to focus on supernatural horror in modern settings, this collection doesn’t always include supernatural threats. Forest creatures and gang-bangers fill out of the ranks of things to fear. 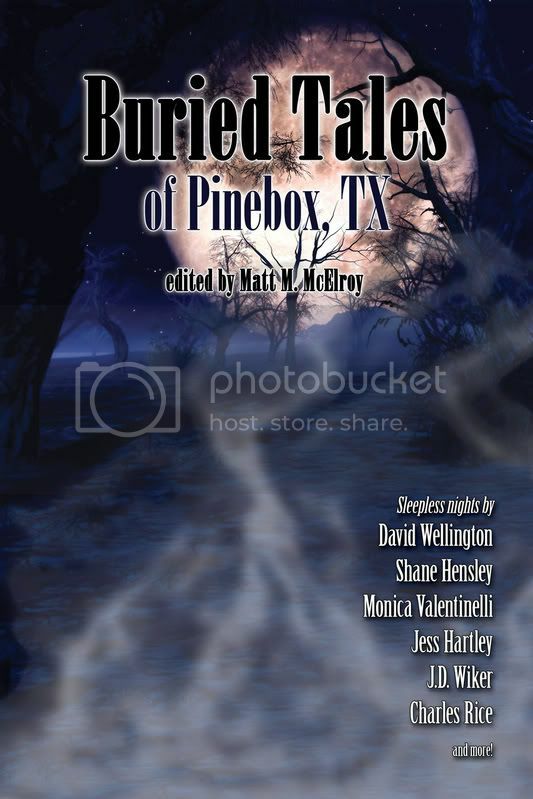 The Buried Tales anthology of horror and supernatural fiction transports you to the rural town of Pinebox, Texas, where secrets are buried but the dead don’t always stay that way. Join us for a dozen killer stories by David Wellington, Shane Hensley, Jess Hartley, J.D. Wiker, Monica Valentinelli, Charles Rice, and more. 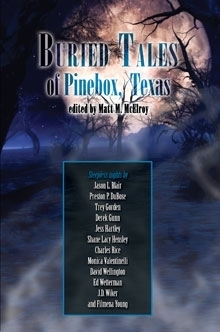 Buried Tales of Pinebox will arrive summer 2009! Stay tuned for more previews here at Flames Rising! The all-new Pinnacle Entertainment Website is up and running! They have updated the look & design of the site, added a new Savage Worlds Test Drive pdf, new adventures and other cool stuff. The big news is the new free The Savage Worlds License Agreement that comes in two flavors, one for fans and the other for publishers. 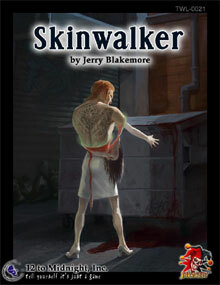 12 to Midnight publishes modern horror roleplaying games and accessories. In this interview Ed Wetterman and Preston DuBose take us on a tour of Pinebox and then they explain a little bit about the design process that went into the new Steamworks d20 fantasy book. We also get to hear about why 12 to Midnight likes the Savage Worlds system and get some details on the first ever Midnight Charity Project. Now available from 12 to Midnight! Ever wish you could just toss a grenade into a room full of orcs? Or wish you had an automaton to scout out a booby trapped hallway? Or that you could let your fantasy characters explore the ruins of an ancient, technologically advanced civilization? 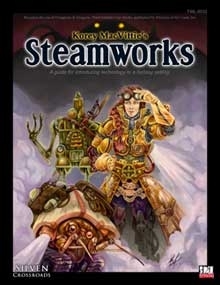 If you’ve ever wanted to introduce a little bit of steampunk into your fantasy campaign, then you want Steamworks!